Brain health is important. 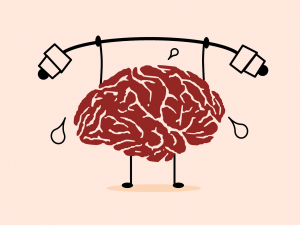 When you exercise your brain you improve your brain health. Use it or lose it. This is not just a saying. It is something you need to remember every day. 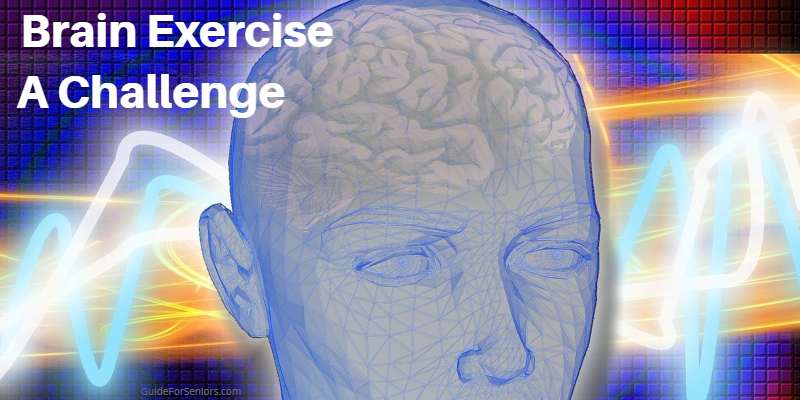 Brain exercise is good for you and good for your brain. Do not let it get lazy. If you do not use your brain every day, a day will come when you will not be able to. Play word games. Add up numbers in your mind. Learn new words. Use them in your daily life. Do crossword puzzles. Practice as if you are studying for the SAT exam. Soon you will find your mind works quicker. You may still lose words but they will come to you easier than if you did not practice at all. You only perform, both physically and mentally, at the same level that you achieve when you practice. When you were practicing for a test in school, or perhaps when you practiced a sport, did you notice a difference? If you were a runner, your performance on the race track was only as fast as it was when you practiced. The same thing goes for mental acuteness. You will only be as sharp as you are when you practice. Therefore, practice, practice, practice. Brain exercise is as important as physical exercise. The more you practice, the better you get. By continuing to do a brain exercise every day, it will be easier for you to use your brain when it is important. Do not let anyone else make your decisions for you. As a group of people, we are inherently lazy. It is so much easier to let someone else take care of everything. However, that is a major mistake that many, especially seniors, make. No one is more invested in your problems, your health, or even your money than you are. You can not and should not abdicate your responsibilities by letting someone else take care of you and yours. If they fail, then you can not be blamed for it. But that will not matter. It is still a failure and you will be the one who pays. However, not everyone is capable of taking care of themselves. It is a responsibility to take care of those that can not take care of themselves. Just keep working to make sure you are not in that class of individuals. There is a lot of satisfaction to be gained in making our own decisions. You must be prepared to make those important decisions. Use your brain now so you will always be able to do so. You can depend upon yourself. You will assist your anti-aging strategies by using brain exercises to help you to help yourself. Now is the time to begin. Read more about Brain Health on Guide For Seniors.